Once upon a time, there was a magical night when all the princes and princesses of the Twin Cities gathered round to gaze upon the majestic beauty of the Unicorn. One long year has passed since this legendary eve, but the time of the Unicorn has come once again! Over 70 artists have come together in a group exhibition comprising various mediums and expressions in honor of the Great Horned One. 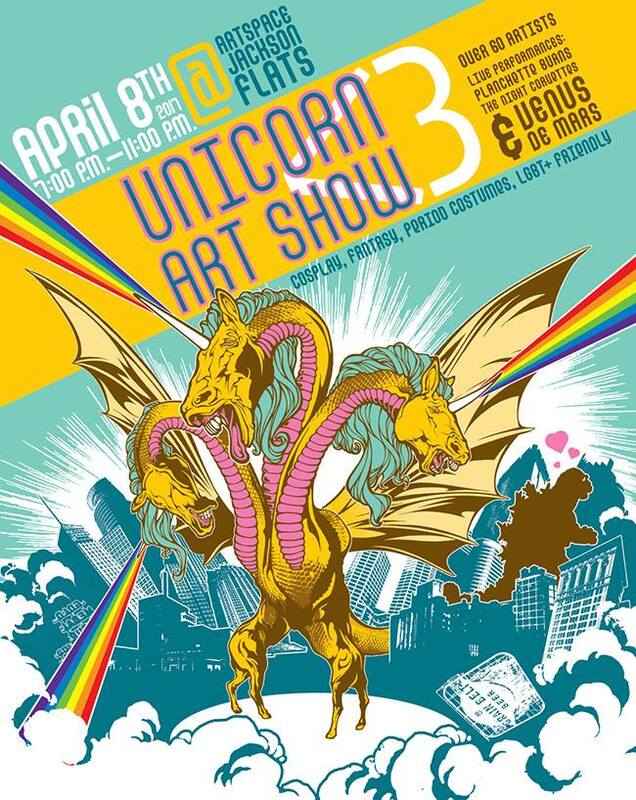 If you missed the previous Unicorn Art Shows due to duels, quests, or magic curses: this is your opportunity to find renewal of purpose! The Unicorn shares its knowledge with all who seek it with a pure heart! 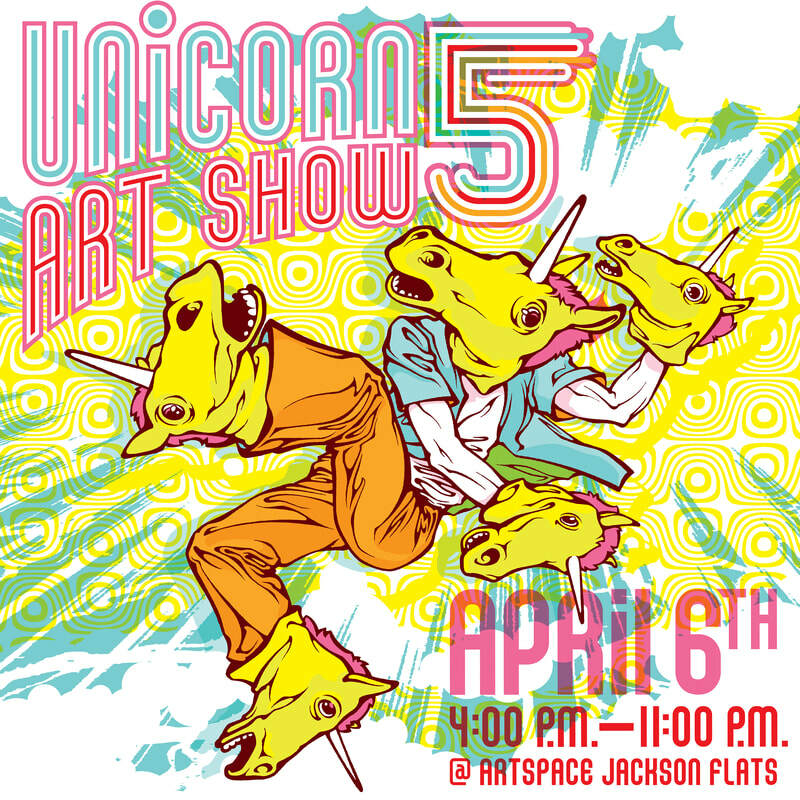 The spirit of the Unicorn has once more drawn together a group of artists from the magical kingdom of the Twin Cities, who are joined in their tributes by artists and craftspeople from kingdoms far and wide throughout the country. Their magical beasts shall preside over another night of fantastical art, live performances by Planchette Burns, The Night Corvettes, and DJing by the indescribably magical Venus de Mars. 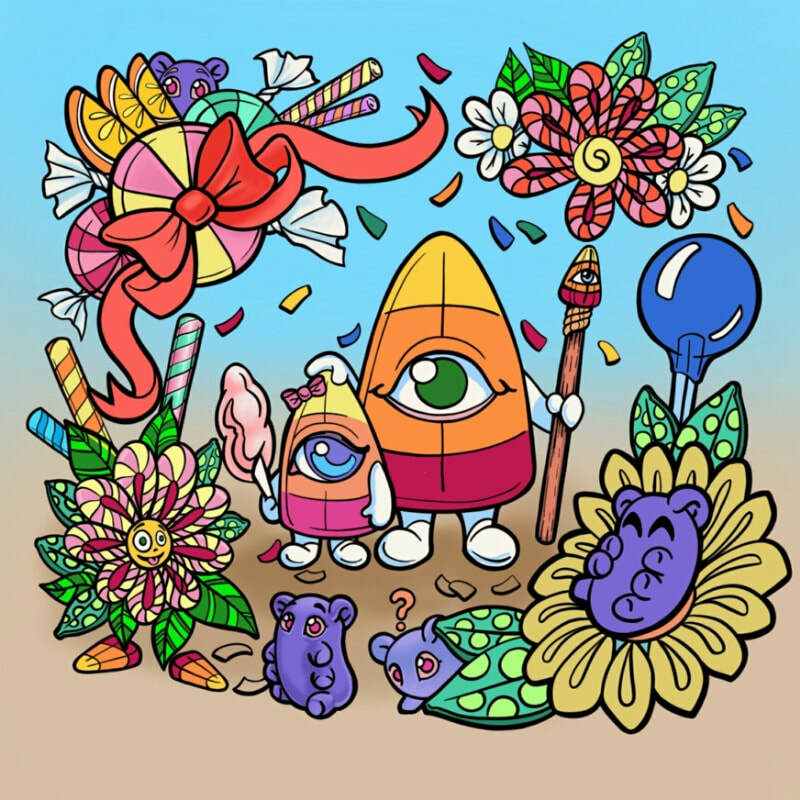 Don your best prince or princess attire, or masquerade as any magical creature you desire; enjoy mystical potions at our enchanted beverage station and get your face painted to ensure your place among the fair folk.This joyous occasion will also be visited by the magical Food Truck GASTROTRUCK. Join us at a new location and larger gallery, Artspace at Jackson Flats in NE Minneapolis on April 8th from 7-11pm and revel in the sacred homage. I met Desdamona at the Abstracted Gallery in NE Mpls one evening a few years back. They had given me an entire wall in their Luck of the Draw show. Which worked out to be around 20+ drawings and paintings. It was the first time I had seen that much of my art in a gallery all at one time. And, yeah. It looked good. All of the art was based in folk and fairy tales, the subconscious dreaming mind, and strong historical female figures. So I suppose it's really no surprise that she saw my work and needed to meet me. Those are her words, and I smile remembering her telling me the story of why she wanted my help creating the world she envisioned. She's just one of those rare, unassuming people who makes you want to do better. She makes you want to shine. So we spent the next couple years talking about poetry and daydreaming together about this world called No Man's Land. 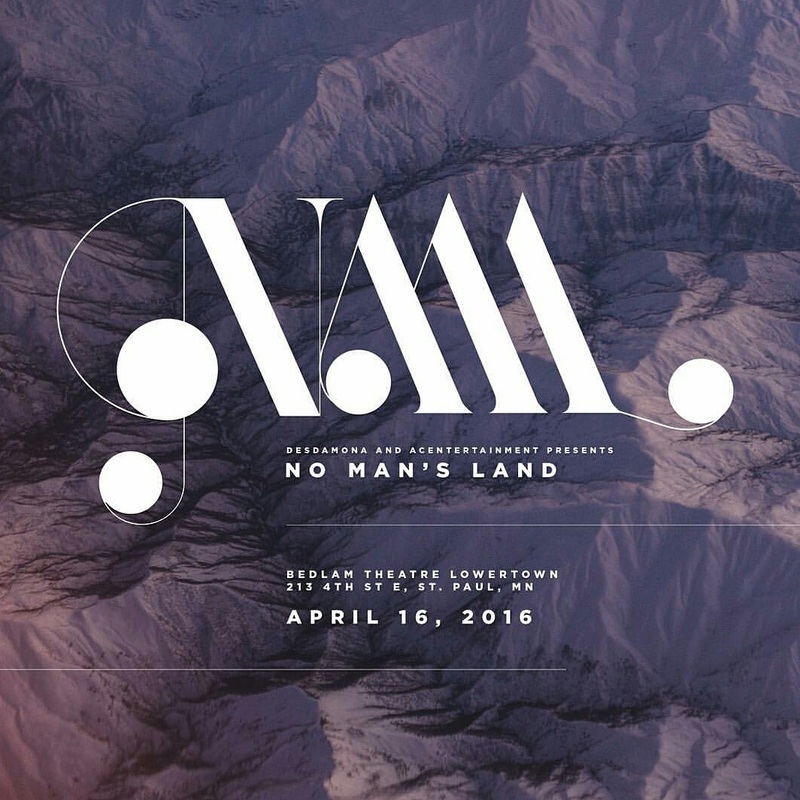 Until the album release party at Bedlam Theater in Lowertown St. Paul April 16th, 2016. My part in the project was to illustrate the six nursery-rhyme style poems to go along with her new album and the Siren sound project. All of these were projected behind the stage throughout the performance, and it was amazing. The show was intended to showcase the wealth of female talent we have here in the Twin Cities. Des knows this, and tirelessly strives to shine light upon all of us hard-working creative ladies who help make the arts community and culture here the wonderfully full and diverse environment that it is. That sentiment has taken root in my soul, and a flame has been kindled. Work hard, do better, and carve out space where ever we can for those who create from the heart. 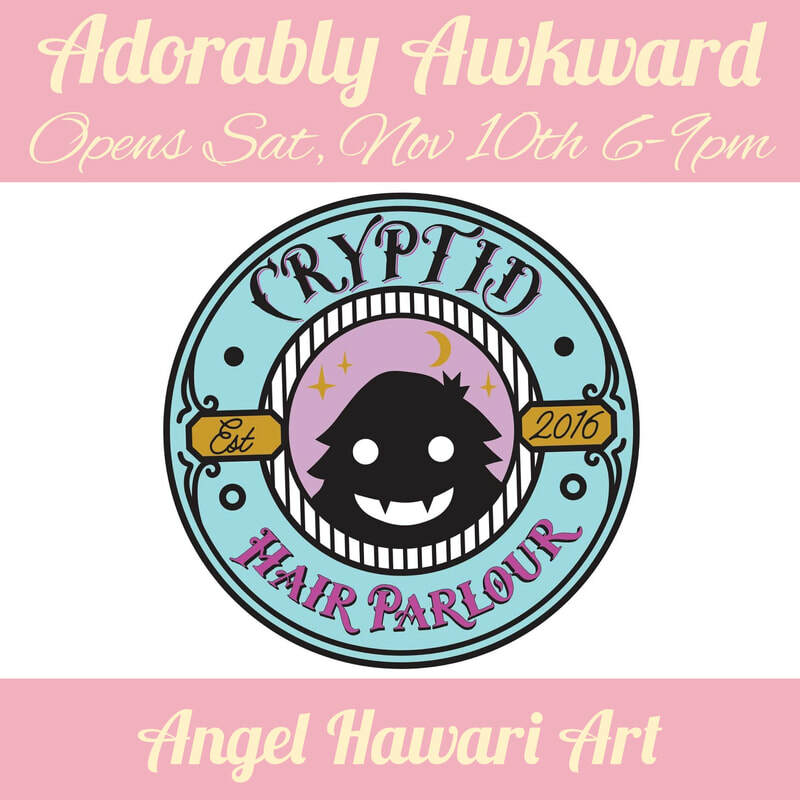 She has the prettiest show posters pairing her poetry with the corresponding illustration, t-shirts, and more!! Please take a moment to browse the offerings listed here and support her work! Along with a selection of other prints available directly from me. I hope you'll enjoy the music from Des's newest album! I'm so very grateful I got to tag along on this journey with her. Thank you, Des! A Wedding, The Skateboard Art Project, and Penpals! Good morning you lovelies, you! I'm in the best mood this morning. Partially because I just got back from a week long visit in Louisiana with my sister & our family there for her wedding (Yay!) The wedding was beautiful, and I really like my new brother-in-law. He's been pretty much in the family for awhile now, they just made it official. AND some pretty cool mail was waiting for me when I got back! A chunky mailing tube came from Jeral & Sarah Tidwell in Kentucky (more about that in a second), and letters from new penpals! I enjoyed reading them so much!! And will be writing back this week. I nearly forgot how wonderful real, personal letters can be. And it's so secret & private. I think I'm so used to writing online that I lost touch with how genuine a paper letter allows you comfortably be. I like it a lot. So if you want to swap snail mail, contact me for my p.o. box address, and I will write you back. I'm incredibly grateful my art attracts such wonderful people! I tip my hat to you because you all are some of the kindest, warmest, and most generous- hearted people I've come across. And I am thankful you want to have anything to do with me at all. This wouldn't be near as much fun by myself. Merci beaucoup! So! The Skateboard Art Project: This is artist Jeral Tidwell's baby. He's invited all his artist friends to create art that Landyachtz Longboards may choose to license for new skateboards. And there's a rumor of an art book in the near future too. I took a peek at the publisher, and it's a pretty cool rumor! But I don't want to get too excited yet (I can wait for confirmations), but it's pretty exciting and I'm happy I get to participate. This is looking like a really good opportunity to meet and talk to lots of other arts people all over the U.S. I'm making connections with a few already, and I'm definitely feeling like a small fish. I've got my work cut out for me it I wanna make the cut. I'll try to be better about updating my blog more regularly. There's just so much to do everyday that it gets tricky to squish everything in. But I will try. Thanks for coming to see what I'm up to! Hoping this finds you well, and have a great day!